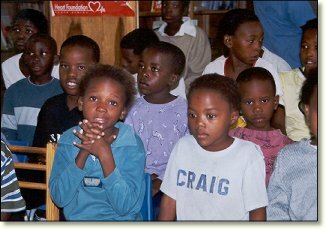 The South African Mobile Library Association (SAMLA) was initiated by Alumni Club members (ex-ASSET/EDSA bursars) to bring the world of books, literacy and learning to young children in the townships and squatter camps of the Western Cape. As a first initiative, a community-based children's library has been set up in 3 refurbished containers in a central location in Gugulethu township, manned entirely by volunteers, where the children enjoy reading, story-telling and drama sessions. EDSA raised funds to convert and furnish the three containers and to support supervised visits and camps arranged by the volunteer staff for these young people, most of whom have never had such opportunities before. EDSA has also provided funding for books. Being based in a container is innovative but has its down side - in particular the heat in the summer and condensation. Further funding from EDSA has recently refurbished the containers to make them water tight and to add better facilities - this was enabled by several fundraising events.